Shettihalli Rosary Church is 200 odd kilometres away from Bangalore. 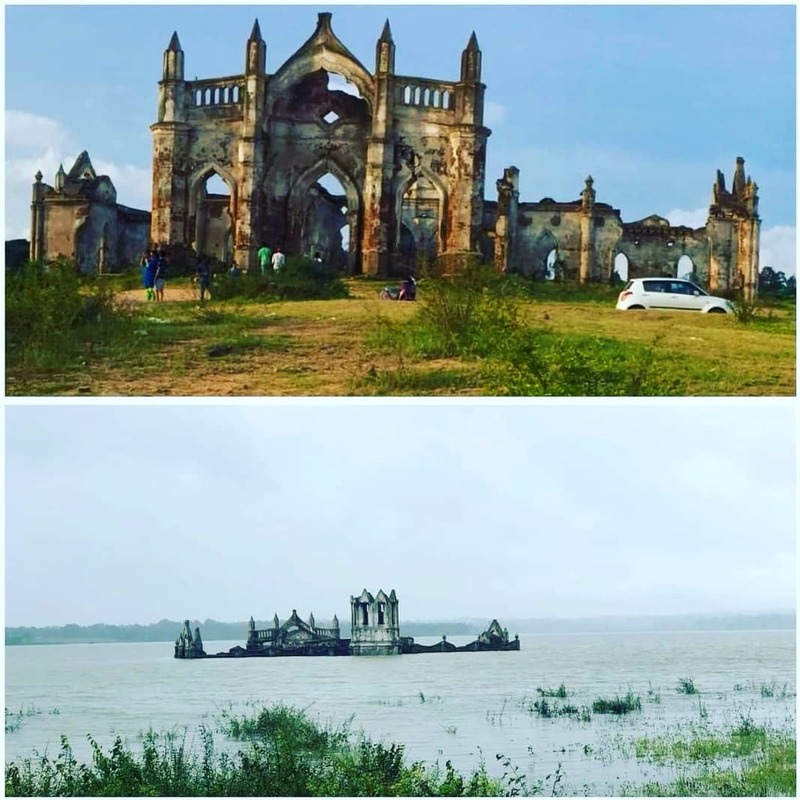 While it is partially submerged most of the times due to the water in the Hemavati dam and reservoir, but when it's not, it makes for an ideal spot for a picnic or sightseeing. This church was constructed in the 18th century and boasts of Gothic architecture. It is such a gorgeous sight. If you are planning a one-day getaway or even a weekend trip from Bangalore to Hassan via Belur and Halebid, try visiting this beautiful church.